The philosophy of the Allied Health programs is to prepare qualified students to be competent in their program of study. This is accomplished primarily by providing a carefully designed curriculum utilizing the resources of the College and the program’s externship sites to provide students with a foundation in basic science, phlebotomy, nursing assistant, medical assisting, and medical billing and coding techniques. 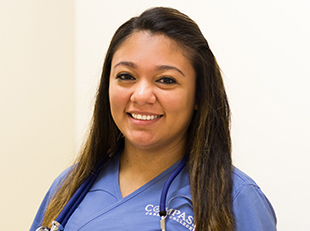 These programs complement the overall mission of Compass Career College by educating allied health care providers who will remain in the area as productive working citizens and directly contribute to the betterment and public health of the community. At Compass Career College, you’re more than a number - you’re a unique with limitless potential. Our Allied Health instructors offer real-world, hands-on learning, and individual attention you won’t find anywhere else.